Can front rows wear lycra? Open this to find out! Atlas has had its biggest group of riders to date at the Tour of Cambridgeshire. 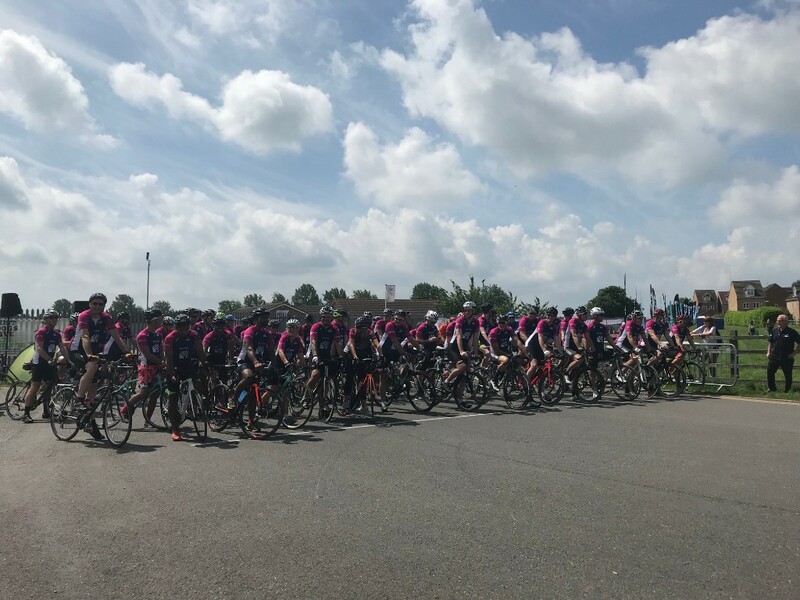 With over 60 riders donning the stunning new blue and pink cycling jersey, we were one of the most noticeable teams of riders on the course. 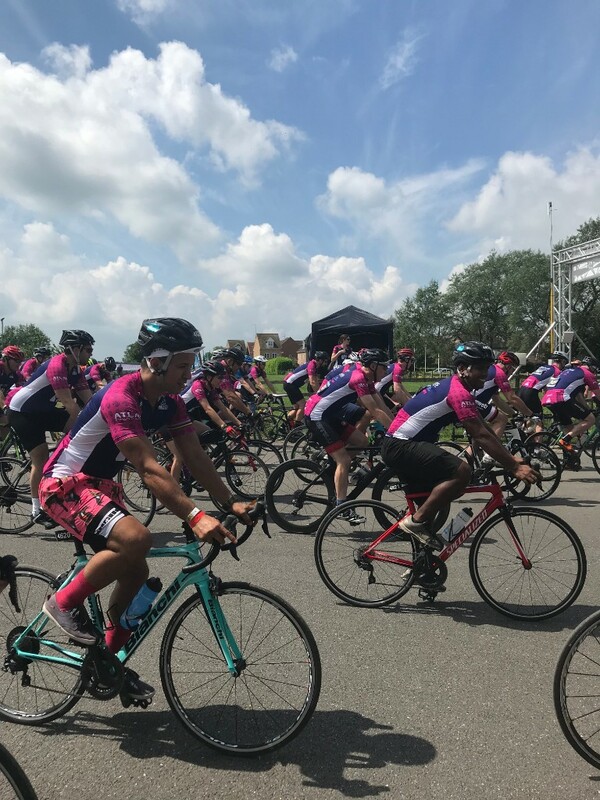 With 99% of our team training a combined 0 hours, it was an incredible effort for the guys and girls to do the long 80 mile slog on a particularly warm day. We had the pleasure to be joined by a group of coaches from one of the Indian projects we support. Our riders showed that cycling, like rugby is a sport for all shapes and sizes. We are grateful for all the riders fundraising efforts. We are looking at a grand total of around £10,000 which will go towards a number of different projects including those mentioned below. A massive amount of thanks must be given to Neil Blewitt for his impeccable event management. Also to the Tour of Cambridgeshire for being so accommodating for our team and giving us such a pleasurable day. Finally, thanks to the riders for getting on the bike and making it a brilliant event! We hope to see you all next year and some new additions to the team. Contact cycling@atlasfrc.org for info about 2019. A deliberately intimate event at a beautiful course with a liberal sprinklings of rugby players, refs, commentators and fans. 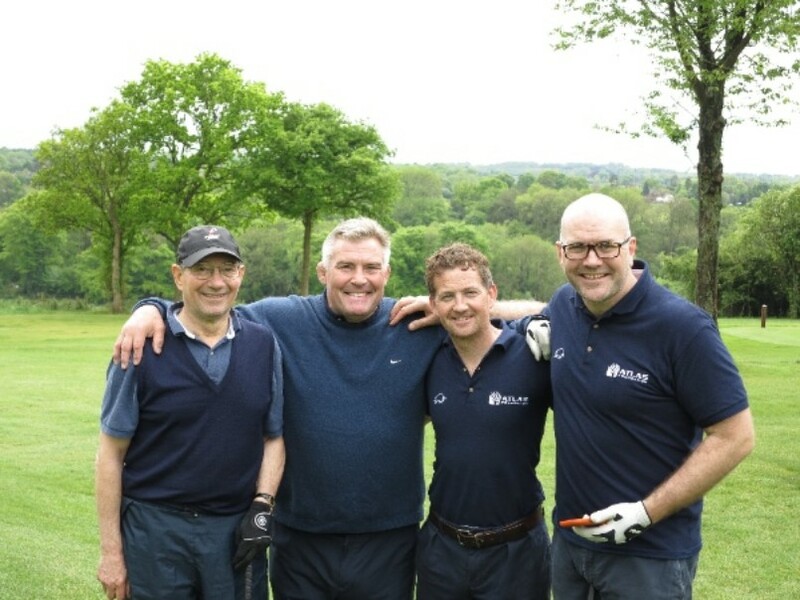 Hosted by Kingswood Golf and Country Club near Tadworth in Surrey, corporate sponsored Four Balls are £1,500, non-corporate Four Balls £750. For more information contact us here. 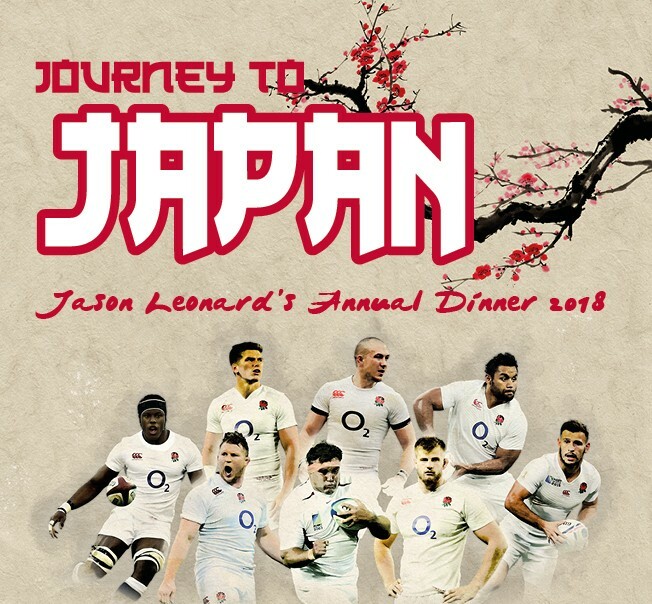 Get this date in your diaries for this not to be missed opportunity for an evening with the current greats of the England Team including: Owen Farrell, Billy Vunipola, Maro Itoje, Dylan Hartley and more! A special evening's entertainment on the team's journey to the World Cup 2019. If you are interested in this exclusive event click here to get your tickets now. 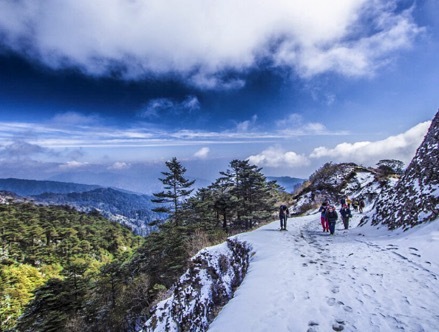 After the success of our 2018 trek with 14 challengers, including a number of rugby legends, we are excited to announce the 2019 Expedition will be an incredible journey, trekking through the ancient jungles in the foothills of the Himalayas. 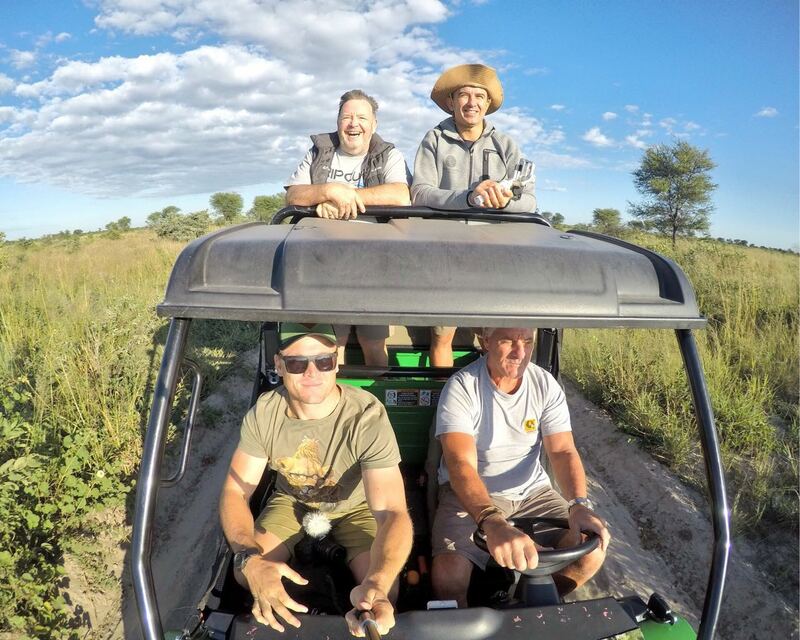 Some of the highlights will include driving round rough mountain roads in heritage Land Rovers, catching your own supper in the clear Himalayan rivers (No fish = No food) and sleep in traditional Indian villages and trekkers huts. We are there to open a communtiy centre that Atlas has funded. 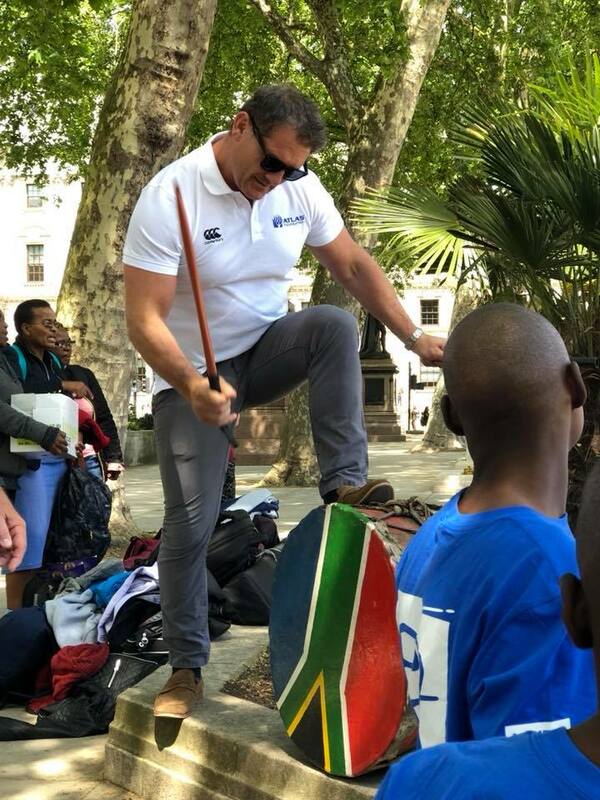 Giving rural kids a place to study and play rugby. Challengers pledge to raise £10,000 so if you think would like to take on the challenge click HERE to secure your place. Below are some of the stories from our projects around the world. We have had a busy few months in expanding our projects and the progress of those already in motion has been outstanding. 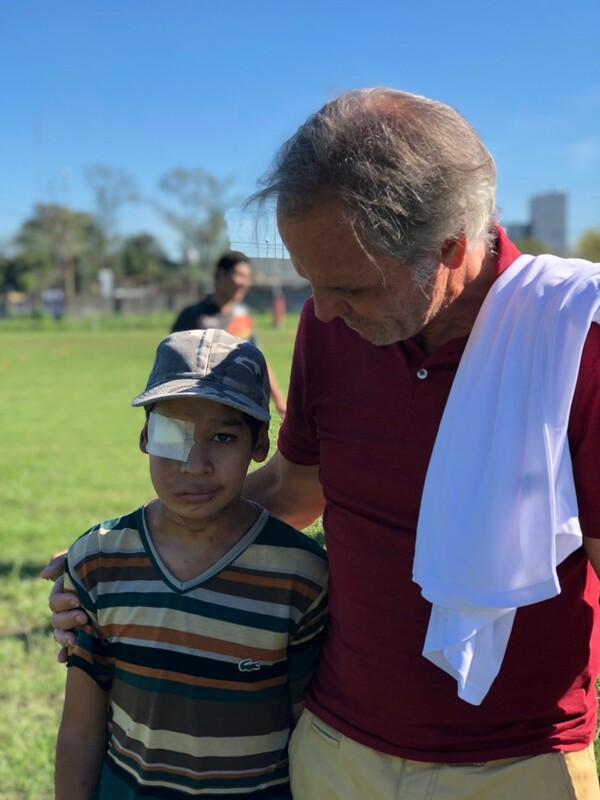 Our CEO Sally has recently got back from our projects in Buenos Aires, Argentina. 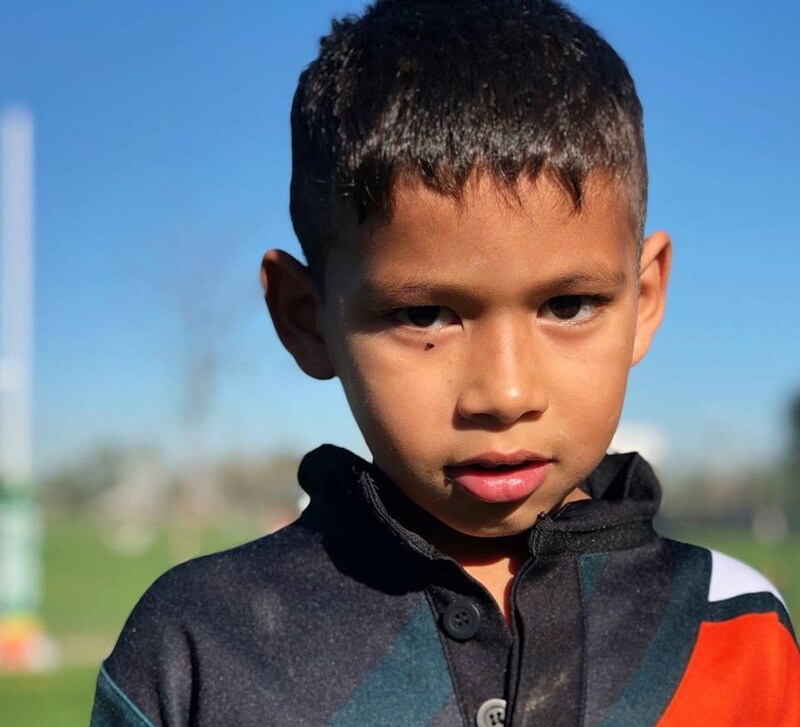 After seeing the impact that rugby is having on these young lives, we have recently committed to providing assistance to 15 new schools around 5 rugby clubs in some of the most deprived areas of Buenos Aires. Here the children face poverty as well as the negative influences it can bring such as crime and drugs. But the Atlas All Schools project is allowing the kids to find a route out of the cycle of poverty. Rugby brings the children of the community together to bond and to enjoy themselves with a rugby ball in hand like all children should. We also support tutors to come to the club and help the children with reading, writing and maths which is having significant impact on the children's education. By providing a doctor, we help cover any sports related injuries as well as overseeing the children's general health. We had the pleasure to be visited by Project Zulu's childrens choir. 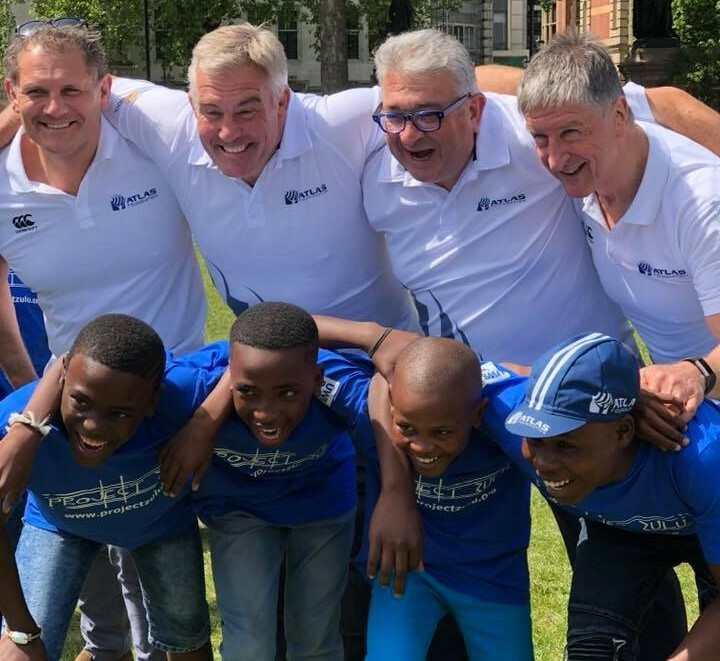 Project Zulu looks after children in rural South Africa and provides education and resources to help children succeed whilst also giving them the opportunity to play rugby. The children from the project form a choir and come to the UK to tour and help raise money for their community. We joined them in London where they performed a medley of songs in front of Nelson Mandela's statue in Parliament Square. Their incredible positivity and beautiful renditions brought in large crowds who all wanted to catch a glimpse of the show. Their performance of the Welsh National Anthem brought an ex-Welsh prop to tears! 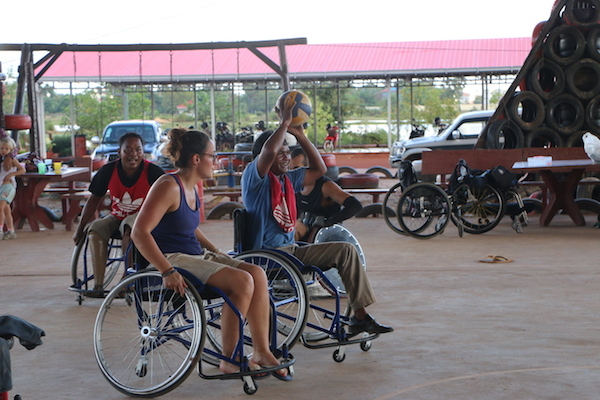 We have recently agreed to start funding a wheelchair rugby project in Cambodia. We will help provide resources and equipment for a number of children who come from disadvantaged backgrounds and suffer from life changing disabilities. It will help provide them with an outlet to enjoy themselves, make friends and learn from others about ways of living with their different circumstances. 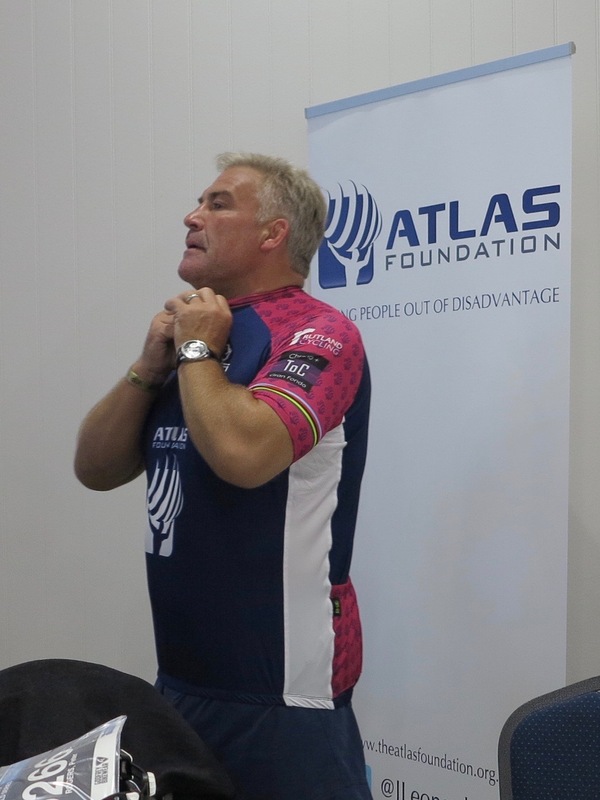 The Atlas Foundation was very kindly invited to be the guest charity of the Rugby Business Network's most recent networking event, hosted by PWC. 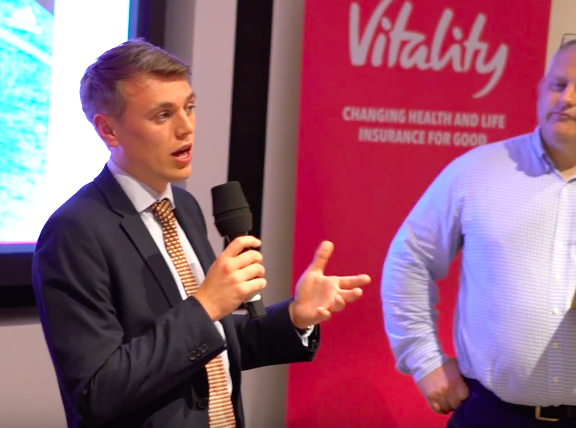 The rugby business network was originally set up to help ex-players find work after their rugby careers. We talked about why Atlas is a great charity for companies to support, and the benefits felt by our existing partners. 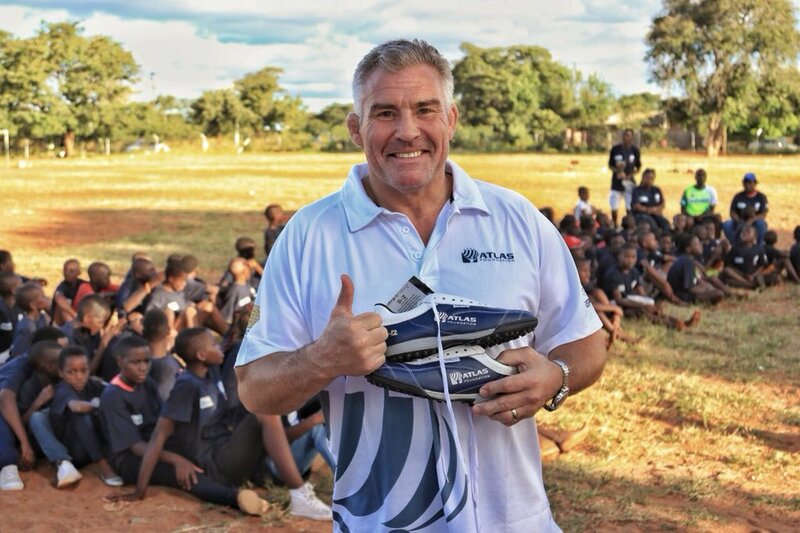 One of the causes that we support, Bhubesi Pride, have recently conducted the recent purchase of a plot of land in Lilongwe, Malawi to start the construction of one of the cities first community centres for rugby. The centre will provide enough room for children to come and learn as well as a large grass pitch for rugby. Since the purchase only a month or so ago the land has been cleared, levelled and construction materials are already being sourced. 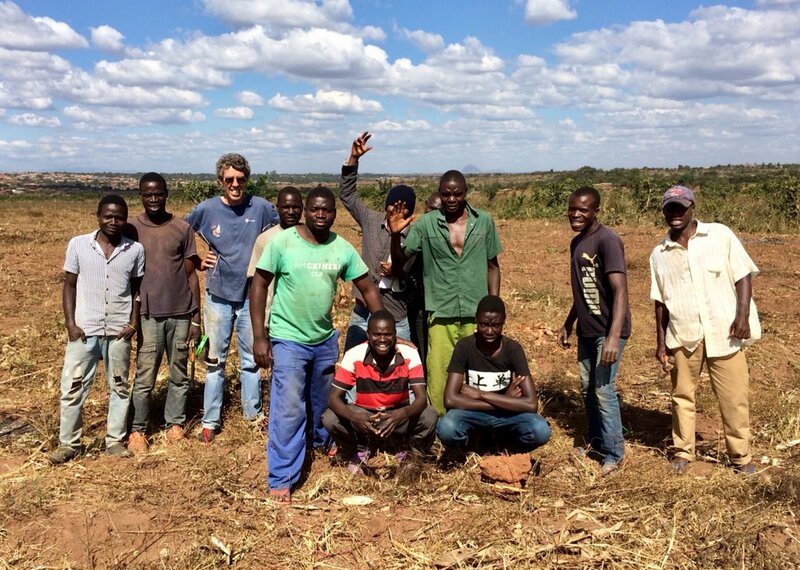 We look forward to seeing the great progress that will take place in Malawi. £5k pays for a coach (who is also a teacher) to teach hundreds of children for a whole year. Copyright © 2018 The ATLAS Foundation, All rights reserved.